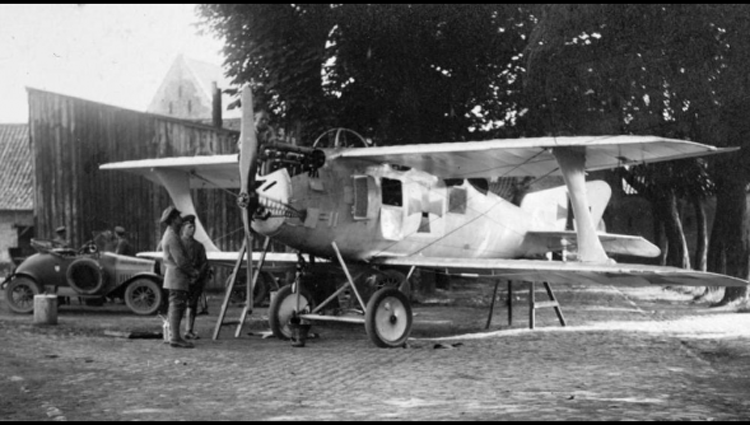 Houplin la pouillerie airfield (french: aérodrome de Houplin la pouillerie) was a small airfield 195 kilometers north-northeast of Paris. almost small chateaux (castles), such as the old chateau Plouvier, where the officers had their quarters. 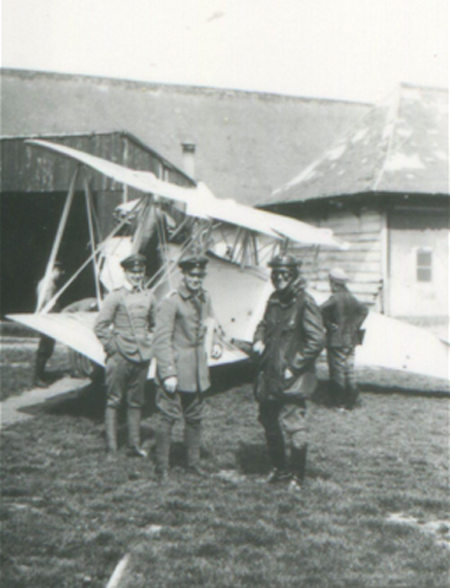 In March 1915, a Bavarian aerial reconnaissance unit set up an airfield in Houplin at a location known as "la Pouillerie". 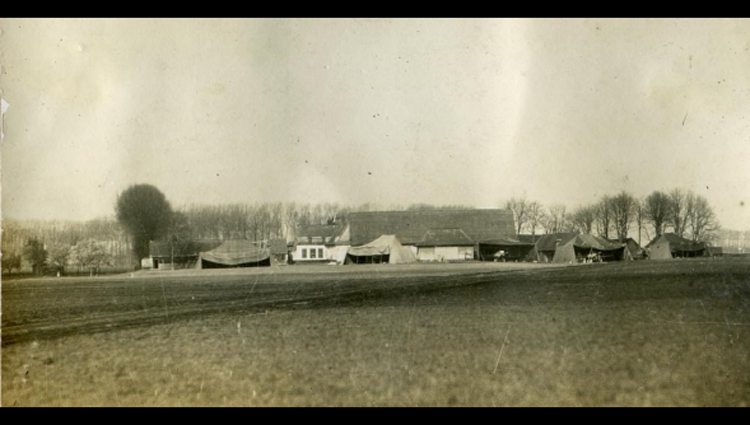 Undated photo of the airfield with its tent annexes which served as shelters for aircraft. They were soon replaced by wooden buildings ( La voix du Nord). On 20 March 1915, a Bavarian aerial reconnaissance unit relocated to this airfield. The unit, Feldfliegerabteilung 5b, became Fliegerabteilung Artillery 292b at the end of 1916. The unit consisted of 150 people and 6 2-seater aircraft (pilot with photographer-observer). In 1915-1916, the Bavarians merely made observation flights and took aerial photos. In June 1916 they briefly left for La Brayelle, but returned in October. Thereafter, their unit became armed with machine guns, grenades and bombs under the fuselage, and their missions were extended to include shooting and bombing, as if they were flying artillery on their enemies' (the English)ineer. After their departure for Ennetières in July 1917, the site was used by other German units until August 1918. Fifty airmen, whose average age was just 25, died while operating from the base at Houplin. Many of these airmen were observers, and usually came from noble or middle-class families. The vast majority was killed by accident, because of mechanical failure, by gunning from the air or from the ground. Some are buried in the German cemeteries Seclin Wavrin, Annœullin or Billy-Berclau. Today, the cobbled streets and the farm of La Pouillerie still exist. It became a House of nature and the environment, called "die Kanzlei". The former airfield is only a plowed field. Special thanks to Mr Jean-Michel Bretonnier and his assistant miss Véronique Evans from the newspaper "La voix du Nord" to allow us to use their documents.